Katarina has fine, yet nicely dense, fleece. She has a great conformation and has a perfect bite. Katarina has her sire CT Estrada's look, who has won multiple champions and blues, and has her dam, Kristina's gentle and curious disposition. Katarina is a very gentle and caring mother who had no difficulty during her first pregnancy. A very good nurturing mother to her cria. Very attentive! Katarina is ready to breed! We suggest our Double Dee Revelation for what we would expect, an astounding cria. 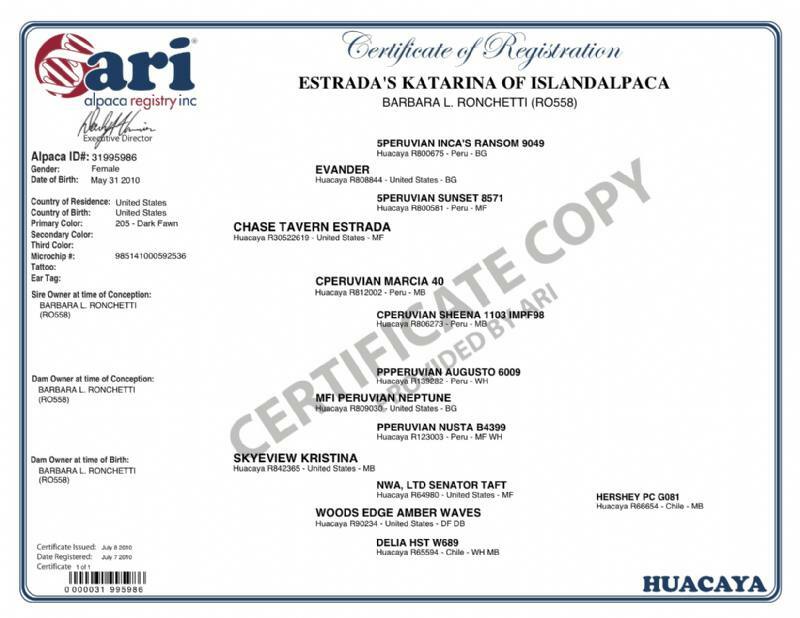 Estrada is a well-balanced male from two top parents. His Sire, Evander does it again with this amazingly dense, fine fleece male with a great handle and luster, extensive coverage and a great body. 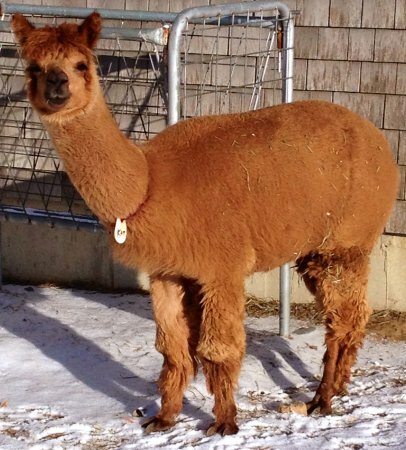 With his 2012 shearing, Estrada had over 12.6 pounds of fleece sheared off. Amazing!! Alpaca judge, Wade Gease has said about Estrada, "He is the "complete package". Very nice fleece style and crimp formation throughout. He has kept his fineness/softness." Also, Judge David Barboza has said about Estrada: "His architecture and density is incredible! Spot on!" And Alpaca Fleece Judge, Cheryl Gehly has written: "Wow! Fine with great character! Quite uniform for micron. ""Beautiful Fleece: fine, bright, well organized!". Awarding him first place in the competition, and again, after the fleeces third showing at the 2009 Empire Symposium and Fleece Event, she commented again;"Beautiful Fleece: fine, bright, well organized!". Most recent fleece circuit, Estrada's fleece (its fourth showing) took yet another blue at PAOBA show, May, 2009. To date, Estrada has eight multiple Champ/Reserve Championships, and 27 first-place, blue-ribbon awards. 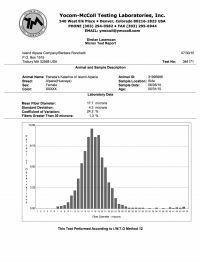 See the details of his show record below, most in very competitive classes! 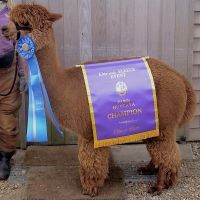 In 2009, Estrada's Fleece won the reserve Championship, and took first place in his class over another amazing alpaca who won the 2008 Futurity Championship that had 54 entries in the class! Both dam and sire have produced Championship winners so his future is extremely promising indeed.